The NTT IndyCar Series had a full half day of dry but cold testing at WeatherTech Raceway Laguna Seca on Friday – not the full day they planned. Rain after the lunch break took care of that. It was 46-49 F degrees, with little wind. 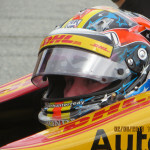 Twenty-one of the 23 drivers went on course. Only the two-car team of AJ Foyt Enterprises opted out of running. It had flown out the entire crew and drivers, and unpacked and setup. 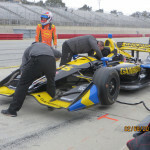 Then, team principal, Larry Foyt, decided it wasn’t worth using one of its precious test days for perhaps a half day of testing when they had a full-day test program planned. So they packed back up and left, for COTA and next weeks full-fledged Spring Training in Texas. 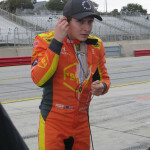 The afternoon session never happened, as the rain, which held off until lunch, couldn’t hold back and let loose. The poor corner workers waited it out for 90 minutes and then were to pack up and come in. But they didn’t. 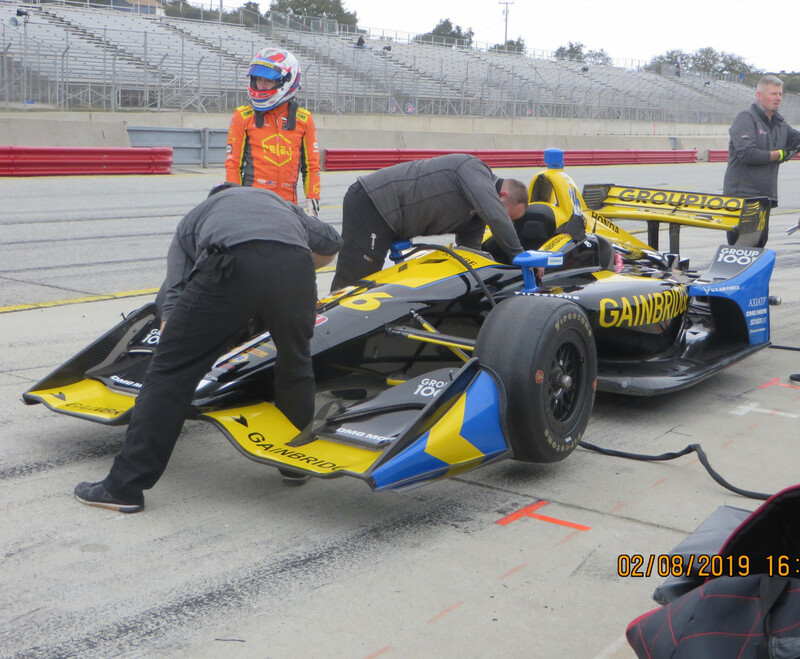 Half hour later, word came that Sebastien Bourdais/No.18 Sealmaster Dale Coyne Racing Honda was going out. But, after taking a truck ride around the course, minds were changed, and everyone packed up. 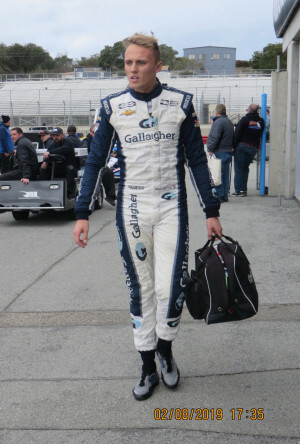 Although this was a test session with no formal timing provided, the track reported that the fastest time was turned by Max Chilton/No.59 Gallagher Carlin Chevrolet at 1:11.2868. 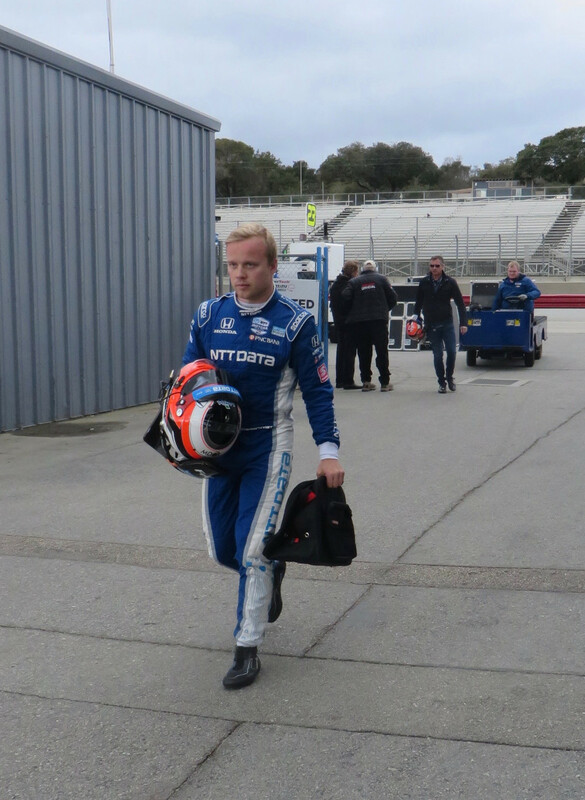 Second fastest was Swedish Rookie, Felix Rosenqvist/No.10 NTT Data Chip Ganassi Racing Honda at 1:11.3289, who made good use of the morning, turning about 50 laps or so. 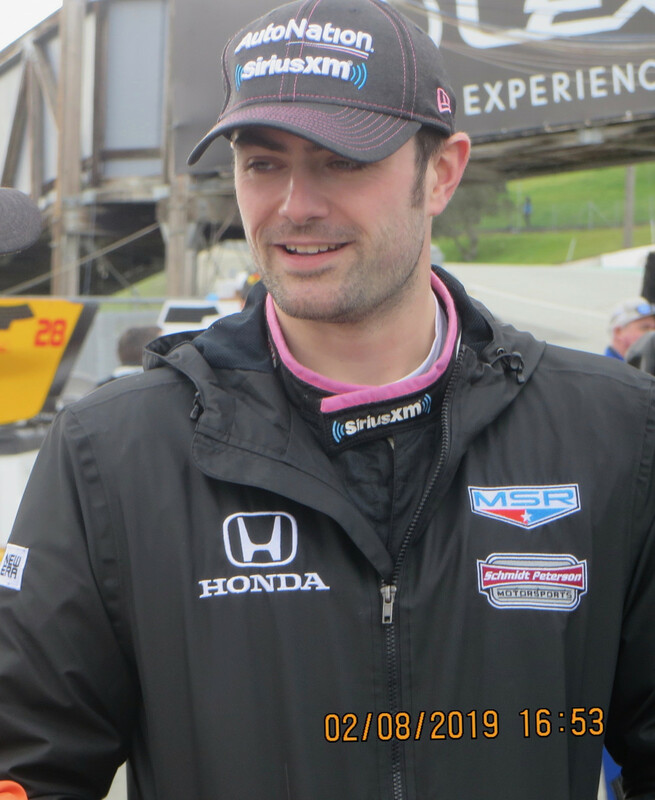 Third was Ryan Hunter-Reay/No.28 DHL Andretti Autosport Honda at 1:11.3490 and Jack Harvey/No.60 AutoNation Meyer Shank Racing with Arrow SPM Honda at 1:11.3680, who is expanding his races from Indy 500 only to five races this season, maybe more. 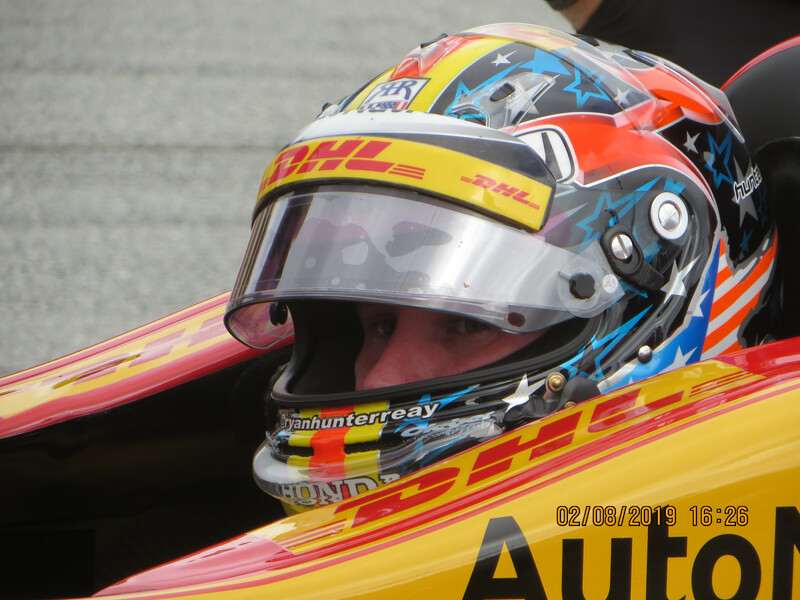 Left to Right: Felix Rosenqvist; Ryan Hunter-Reay; and Jack Harvey. 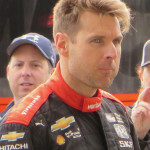 Will Power/No.12 Team Verizon Penske Racing Chevrolet didn’t have as much time as he wanted, due to an engine failure after just a few laps. He spent the morning watching as his crew beavered away. He didn’t get any real time in the car until after 11am, and lunch was at 12:30pm. 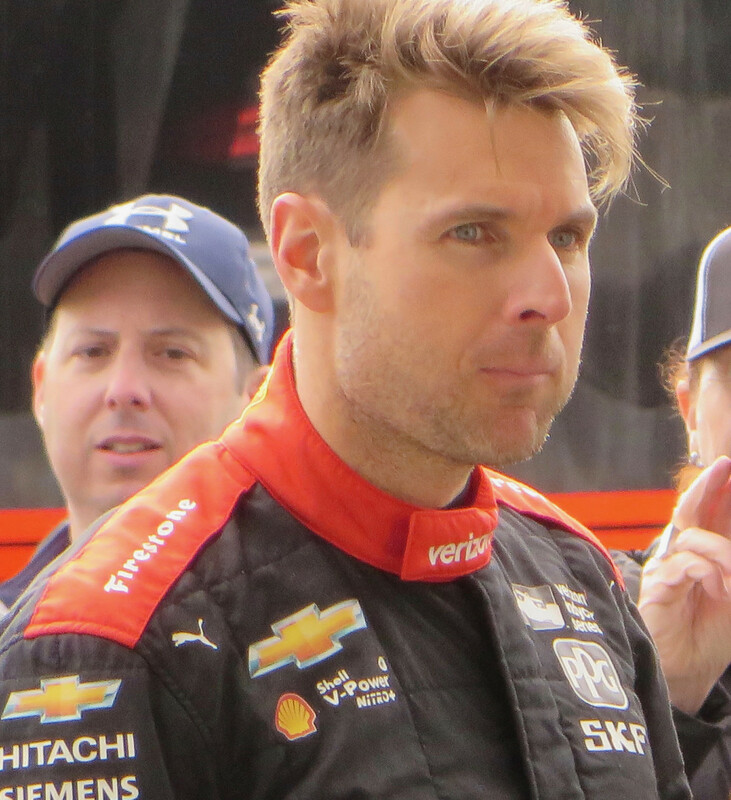 Power said his last track time at Laguna was in 2007 with Champ Car, and said it’s a fun track. For awhile the morning weather required sun glasses. There were a lot of fans who paid $20 to come watch, and watch they did. Many hiked up to the Corkscrew area, while others mingled in the paddock, or hung out in the grandstands. 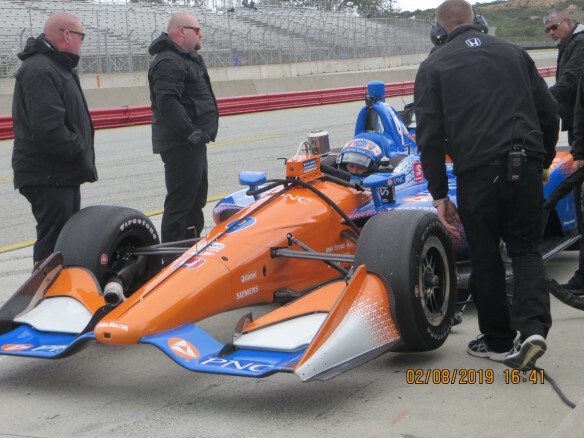 In order to run the IndyCar Series, the race track had to do certain upgrades. 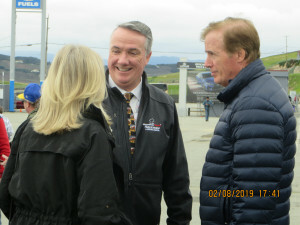 Tim McGrane, track CEO, said catch fencing has been upgraded in several locations, and tire walls have been beefed up from two to four or six rows deep in some runoff areas. 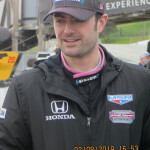 The IndyCars are the fastest race cars running on the 2.238-mile elevated road course this season. 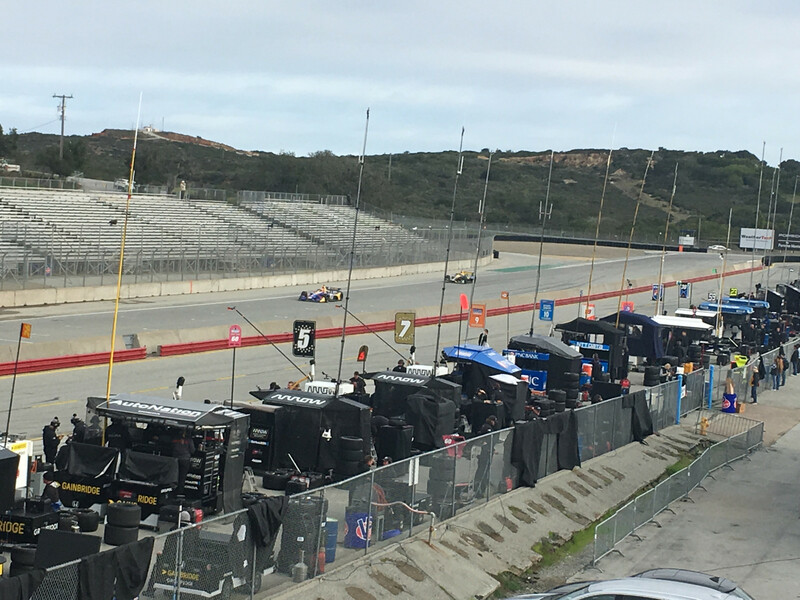 With the wide variety of motorsports disciplines running events at Laguna Seca, different levels of dissuaders are needed. 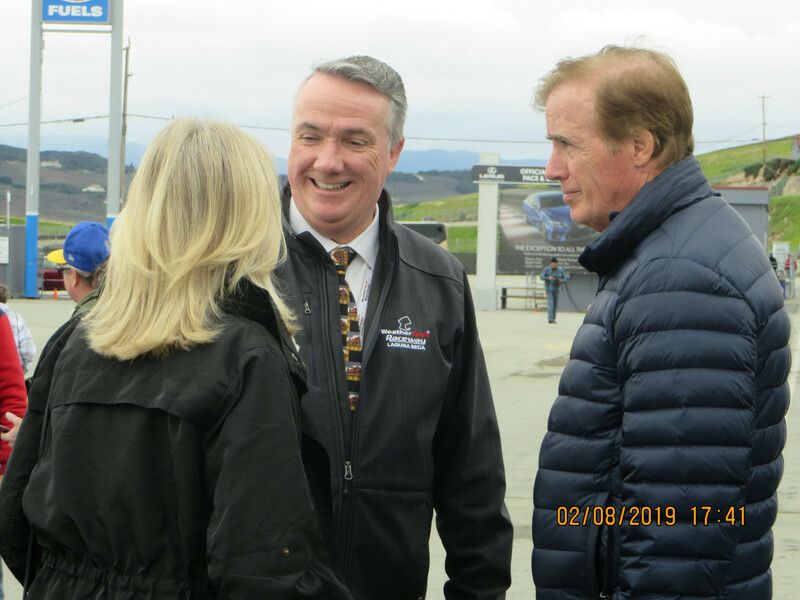 Modern technology affords the ability to interchange different kerbs, depending on the series.There will be new kerbing for IndyCars, sometimes known as ‘sleeping policemen.’ Contrary to some reports, the track will not be resurfaced this year. It is one of several future projects, with no definitive time frame. 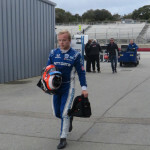 The four plus hours were well-used by the teams, and the only down time was for retrieving a spun car. 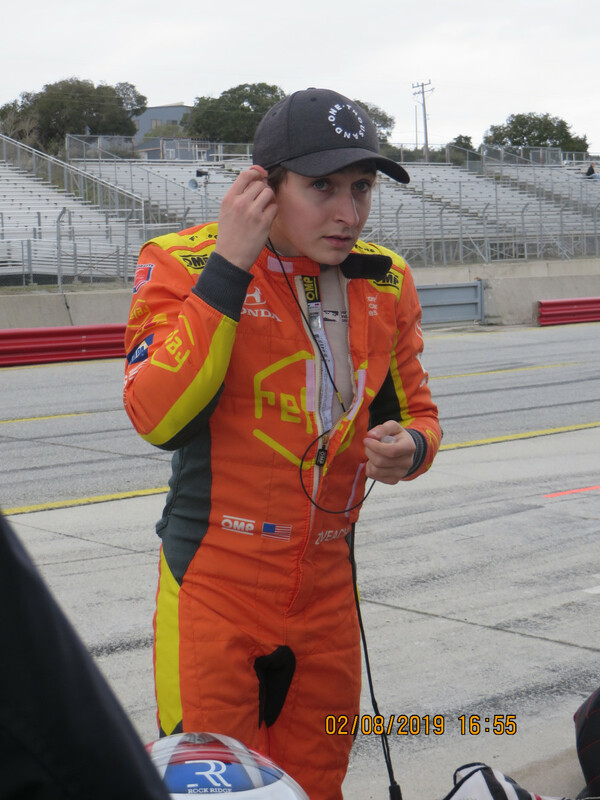 Several drivers tested their limits, including Zach Veach/No.26 Gainbridge Andretti Autosport Honda, for which he was Twitter-teased.